Horace Cross, the 16-year-old descendent of slaves and deacons of the church, spends a horror-filled spring night wrestling with the demons and angels of his brief life. Brilliant, popular, and the bright promise of his elders, Horace struggles with the guilt of discovering who he is, a young man attracted to other men and yearning to escape the narrow confines of Tim's Creek. His cousin, the Reverend James Greene, tries to help Horace but finds he is no more prepared than the older generation to save Horace's soul or his life. And as he views the aftermath of Horace's horrible night, he is left with only questions and the passing of generations. In his powerful first novel, Randall Kenan--recipient of the Prix de Rome, the Whiting Award, and other accolades--shows us the effects of a proud family heritage on a generation that must confront a world far removed from anything they are prepared for. 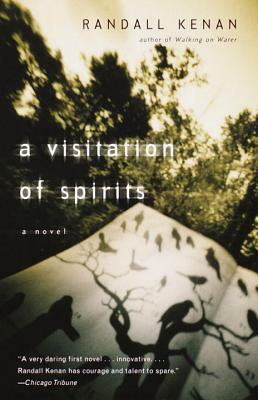 Told in a montage of voices and memories, A Visitation of the Spirits shows just how richly populated a family's present is with the spirits of the past and the future. RANDALL KENAN grew up in Chinquapin, North Carolina, and graduated from the University of North Carolina. He has taught at Sarah Lawrence, Columbia University, Duke University, Vassar College, the University of Mississippi, and the University of Memphis, and is now a professor at the University of North Carolina. His collection of stories, Let the Dead Bury Their Dead, was published in 1992 and was nominated for the Los Angeles Times Book Award for Fiction, was a finalist for the National Book Critics Circle Award, and was among the New York Times Notable Books of 1992. Kenan is the recipient of a Guggenheim Fellowship, a Whiting Writers Award, the Sherwood Anderson Award, the John Dos Passos Award, and was the 1997 Rome Prize winner from the American Academy of Arts and Letters. He was awarded the North Carolina Award for Literature in 2005.